Punta de Mita, 멕시코의 푼토 미타 스위트 & 호스탈 | 호스텔월드에서 예약하세요. We have a kitchen so everyone can prepare meals and there is a refrigerator to store food or drinks. We 2 dorms and bathrooms for men and woman. Hot water running 24 hours. 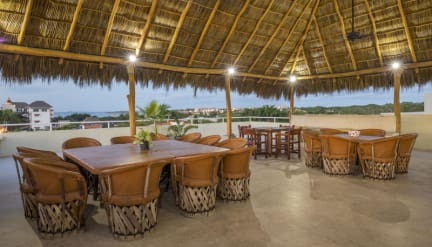 The rate includes a light self-service breakfast (coffee, fruit, bread, jam) so the rates at Punto Mita Hostel are the most accessible and convenient in Punta de Mita. Punta de Mita is a small traditional mexican town with great restaurants, beautiful beaches, ecotourist activities and a lot of surfing and fishing activities. 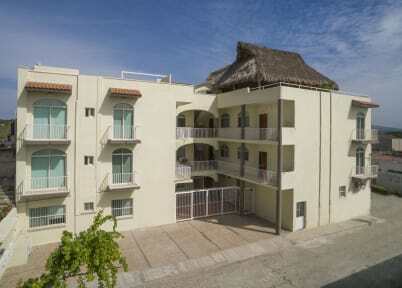 The hostel is located in the housing area of Punta de Mita. We have 2 dorms with 5 bunk beds each and capacity for 10 people per room. Inside the rooms each bunk bed has a reading lamp, plug, single drawer with lock for each guest. The room has air conditioning WiFi and hangers. Check in from 14:00 - 22:00 PM.